To get you in the festive mood, check out the Chatsworth House Christmas markets this year. They commence on November 16th and run until December 4th. During the event, there will be over 100 market stalls selling various gifts and delicious food and drink. A live brass band and carol singers will be playing outside, and you can also explore the house itself after its Christmas makeover! 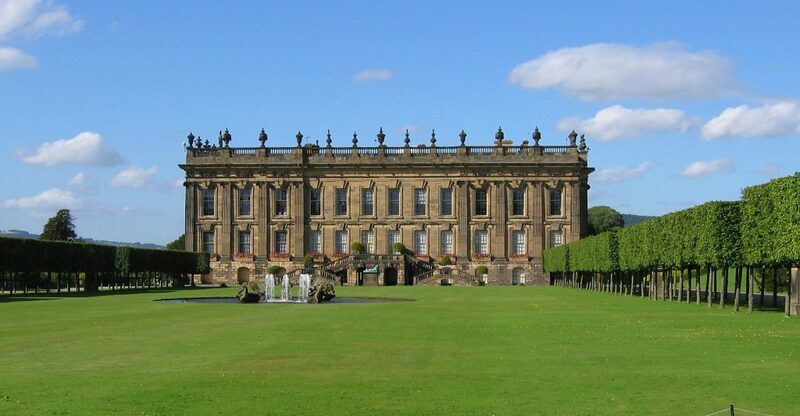 Chatsworth House is a truly spectacular place to visit during the Christmas period. The historic building turns into a winter wonderland, complete with twinkling lights, garlands, tinsel, and of course, a fantastic tree. Hundreds of baubles and streams of lights and tinsel cover the tree’s surface and it takes centre stage in the main hall. During this period, storytellers will roam the halls, enchanting visitors with a selection of favourite tales. Have a walk around the stunning countryside stately home and admire the works of art and decorations before heading outside to the market stalls. There, you can expect an impressive display of trees, fairy lights and festive décor. The market stalls themselves, the traditional wooden huts that we all know and love, help to set the mood. Why not get an early start on your Christmas shopping and purchase some of the lovely products on offer? With so many vendors, you are sure to find a gift for even the fussiest of family members, and maybe pick up a few goodies for yourself. After all that shopping, you can have a warm glass of mulled wine or a nice, German beer from the outdoor bar and sample some of the tasty food available. You will find all of the traditional Christmas market food, so why not treat yourself? You can also experience the art of wreath making at the floral workshops, along with demonstrations. There really is something for everyone at the Chatsworth Christmas markets. Come along for a great day out. If you just aren’t content with having only one day to discover all that the Chatsworth Christmas markets have to offer, then book a stay into one of our luxury holiday cottages. You’ll be able to enjoy the bustling market stalls and then head on back to luxurious, countryside accommodation to recharge your batteries. If you’d rather continue with the festivities, then our cottages can act as a perfect venue for a cozy gathering for family and friends, getting you nicely into the Christmas spirit. Endmoor Farm is a complex of 6 holiday cottages, 3 with 2 bedrooms and 3 with 1 bedroom. Ideal for couples and families looking for a pre-Christmas break, Endmoor Farm is situated in the quiet town of Monyash. All the cottages are dog friendly and there is an enclosed outside area that is perfect for letting the dog stretch its legs. Our Farditch Farm cottages are the perfect venue for a cosy, family gathering to really get into the festive spirit. They sleep up to 26 people and we also allow dogs (and they stay for free!). Check out our latest offers for your pre-Christmas break and take full advantage of our amazing discounts.